The fishing at Boreal Bay Lodge is nothing short of spectacular! First, there is Kakagi Lake, with trophy muskie, lake trout, smallmouth bass and northern pike. Because of the minimal fishing and boating pressure, Kakagi Lake offers not only an exceptional catch rate, but an outstanding opportunity to land that once in a lifetime trophy that all anglers are searching for. Then there is our Lake of the Woods, Steven’s Bay landing and boat cache. Lake of the Woods is regarded as one of the finest freshwater fisheries in North America. Exceptional walleye, muskie, smallmouth and largemouth bass, crappie, and northern pike fishing can be found within minutes of our dock. For a day of wilderness adventure, try fishing one of our portage lakes. Cedartree Lake for walleye, bass and northern pike.Jessie Lake for bass and northern. Before you head out on the water, we will take the time to sit down with a map, to show you the lake and fishing hot spots. We promise to do all we can to make your fishing experience all you hoped it would be. 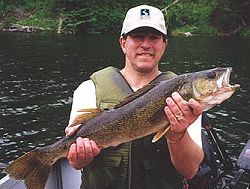 Kakagi Lake is well known for its long history of being a great Lake Trout fishery. Over the years the fishing rods, reels, line, lures and technologies have changed, but we still have guests still very successfully using wireline rigs, down rigger cannon balls and several other techniques. If you have special Lake Trout gear bring it along on your trip to Boreal Bay Lodge, it will still catch fish! If your new to fishing Lake Trout, our Beginners Guide to Lake Trout fishing is for you! 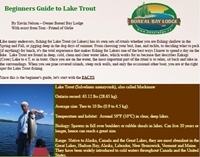 Note: You must have Adobe Acrobat Reader installed on your computer in order to view the Portable Document Format (or PDF) download version of our Beginners Guide to Lake Trout. Please be patient as the download may take a several minutes. 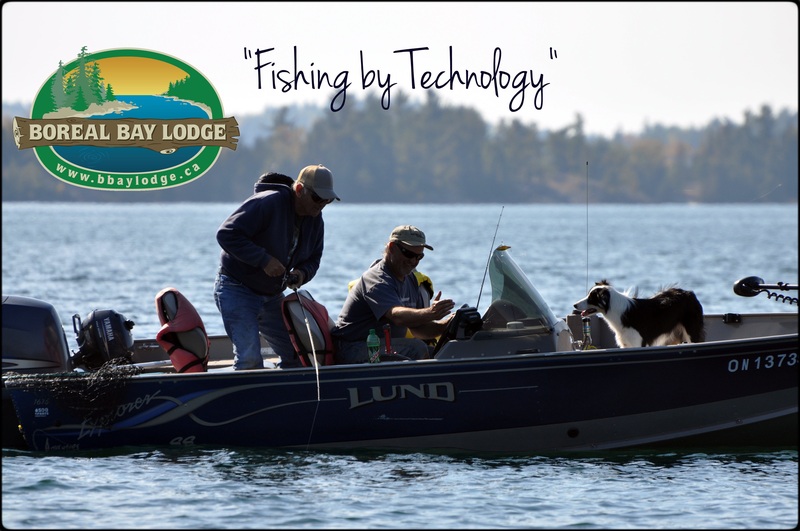 Lake of the Woods is one of the best known Walleye fishing lakes in the world and we have many nearby launches – Nestor Falls, Whitefish Bay, Sioux Narrows and our private wildeness launch on Stevens Bay. Year after year several nice 6 to 8 pound Walleye’s are caught and occasionally someone will find a BIG Walleye. If you want to catch good numbers of Walleye’s with a steady mix of fish size up to 6 pounds, try our Cedartree portage lake. Cedartree Lake has no road access and is a favorite wilderness Walleye hot spot for many groups. We have boats and motors available for your Cedartree Walleye adventure. Looking for a toothy critter that wants to rip line off your reel as it makes long horizontal runs and do damage to that expensive new lure? Yes, we can help you. Northern Pike are plentiful in our area and a good day is catching 25 to 50. Plenty of smaller Pike and a larger Pike (36″ +) are frequently found in a full day of Northern Pike fishing. 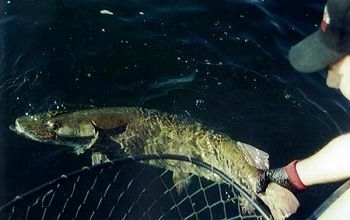 Lake of the Woods, Robinson Lake and Cedartree Lake have abundant Northern Pike populations. Kakagi and Jessie Lake also have some good Northern Pike, but not huge populations of the other lakes. 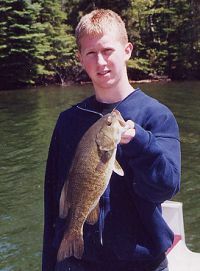 Smallmouth and Largemouth are found in our area lakes. Those hard fighting Smallies are everywhere and very abundant in all of our lakes. Sometimes you need to break out that old hook and live worm technique to get the Smallies to biting, but the soft plastics, spinners, crankbaits and top water will often bring out the Smallies also. Largemouth are common in parts of Lake of the Woods, especially in those back shallow weedy waters. The fabulous muskie fishing on Kakagi Lake has been a well kept secret–until now, that is! 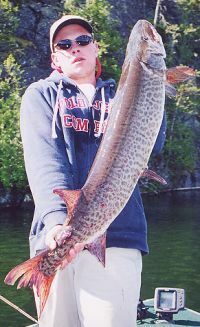 Knowledgeable muskie hunters have quietly produced catches in both great numbers and in size. In fact, a number of line class records have been broken on Kakagi Lake, with a 55 lb 11 oz monster, being the largest ever taken on the lake. Fall is when the monster musky are most catchable. Starting in September and running into November, the big muskies start their pre-winter feed on Kakagi Lake and Lake of the Woods. One of the more interesting facts about Kakagi Lake is its multiple species forage base. Cisco, whitefish, perch, lake trout, and suckers make for large, girthy, aggressive muskie. This allows for a fantastic summer and fall muskie fishery, with great catch potential. It just may be that all those sightings and rumors of huge muskie lurking in the waters of Kakagi Lake are true!! Along with Kakagi Lake we have our dock and launch on Stevens Bay, Lake of the Woods. Where muskie hunters can fish for the monsters of famous Stevens, Sabaskong, Miles Bays and all of Lake of the Woods. 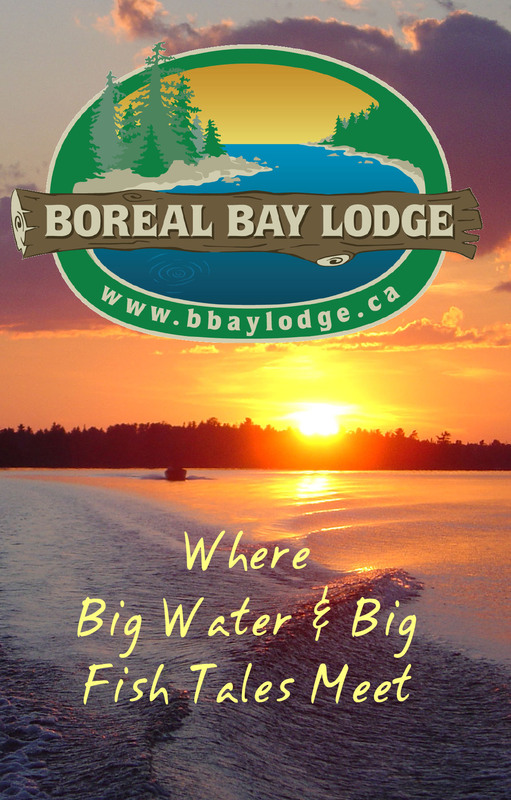 Come find out for yourself at Boreal Bay Lodge. We’ll do everything we can to put you on fish. or a week in your boat or one of our boats. Please call well in advance to book the dates you desire. and selective harvesting of smaller fish at Boreal Bay Lodge to promote the long term health of the fisheries.